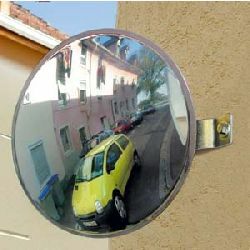 Our unbreakable convex mirrors are ideal for indoor or outdoor use and come in a range of shapes and sizes. 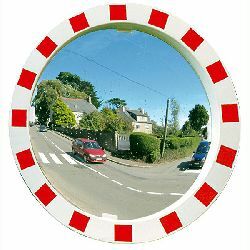 If you find it tricky driving out of your driveway or site entrance, to join a busy road, when you can`t see what is coming - or how fast it is approaching, you will love our Blind spot mirror range. 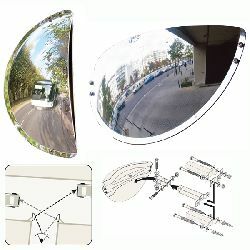 Round or rectangular, large or small, for home or business, whatever your need you will find the ideal blind spot mirror in our range - avoid a costly accident, by always knowing what is approaching before you commit yourself. 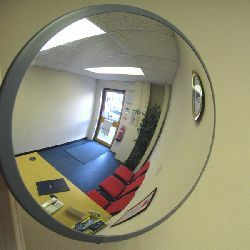 All of our convex mirrors are supplied with fixings and mounting brackets. 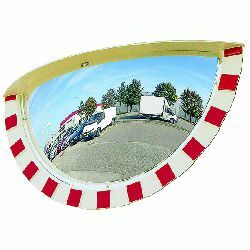 Appropriately locating a convex safety mirror will help you to safely exit from your driveway, minimising the risk of an accident. 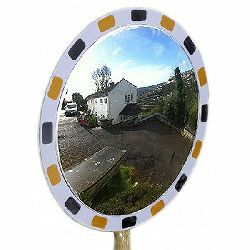 The mirror will enable you to see around corners and overcome hedges, fences or other obstructions which may impair your view. 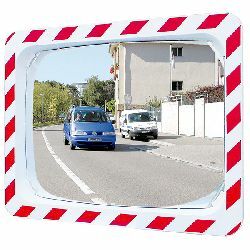 Parking mirrors, or garage mirrors, provide additional visibility when parking a vehicle. 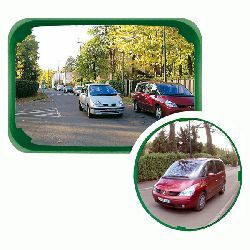 Parking, particularly into confined spaces, can often be challenging. 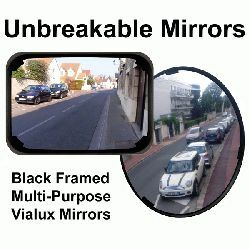 But with the aid of a parking mirror the risk of bumping or scraping your vehicle is much reduced and you will be able to reverse into even the tightest of parking spots or garages. 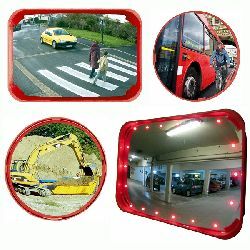 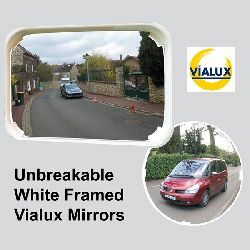 See also our range of; green framed ECO mirrors - and our high visibility red framed mirrors.